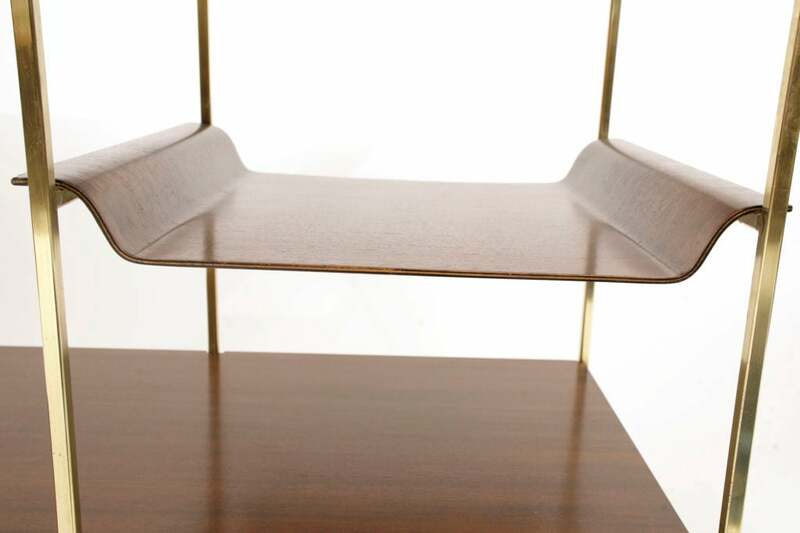 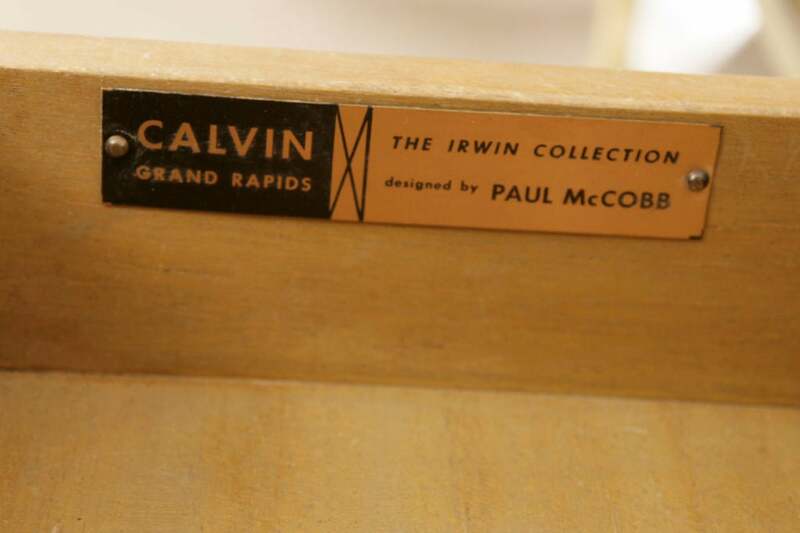 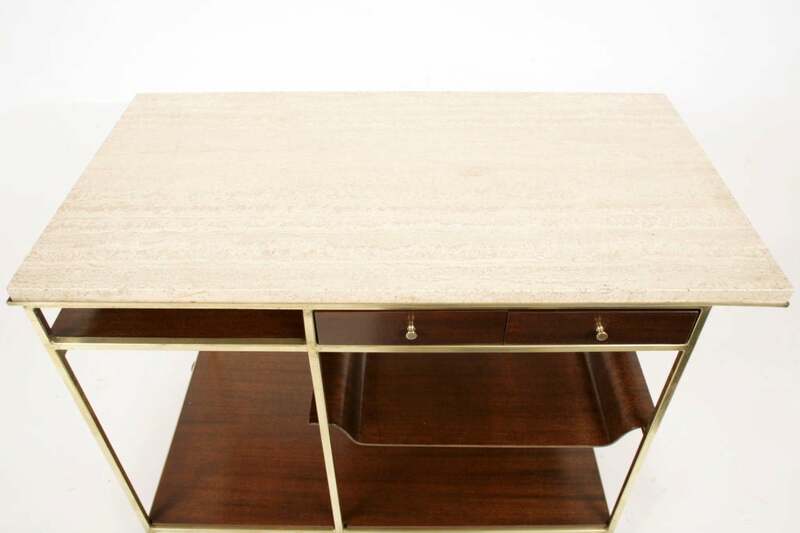 Elegant bar cart designed by Paul McCobb for The Calvin Group. 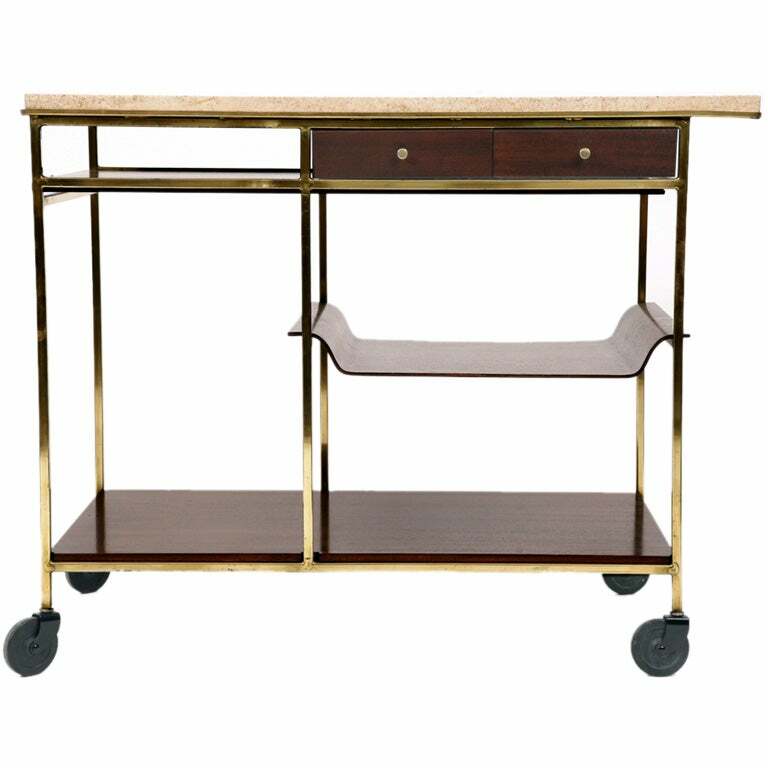 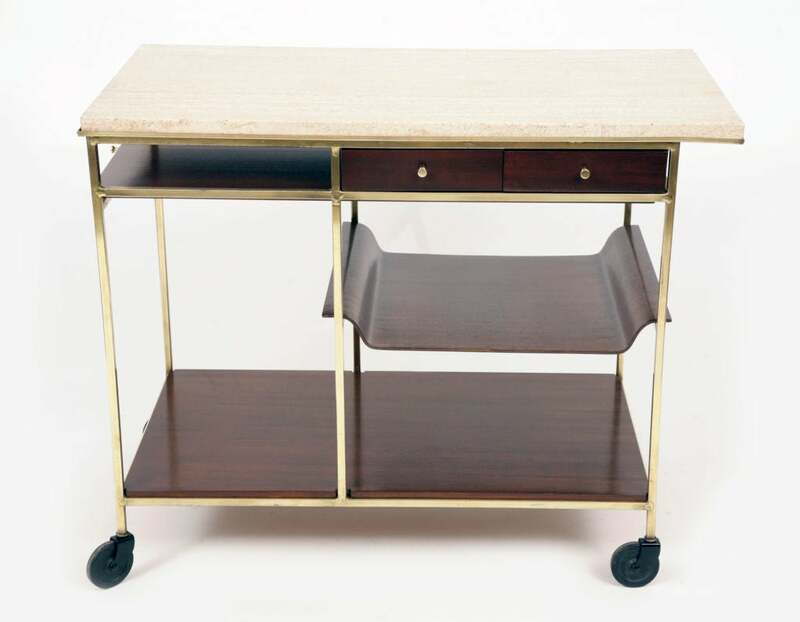 Features include marble top, brass baby pulls, lower glass shelf, brass castors and three storage drawers. 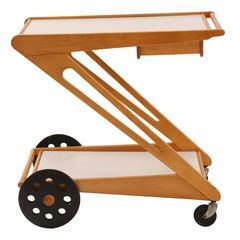 Two-tier rolling cart with bottle rack and removable tray in the style of Mathieu Matégot. 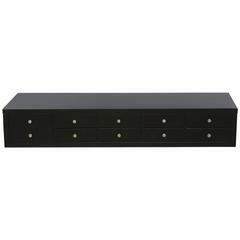 Recently repainted in brick red and black. 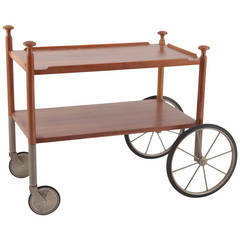 Two-tiered aluminum bar cart with glass shelves on wheels in a polished finish.